Zip & Stay Deal! Perfect for Mom’s Dad’s & Grads! The perfect gift for those special people in your life! 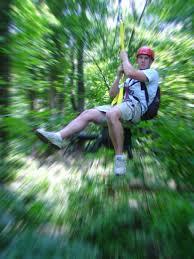 Gift Certificate is $243.00 (includes tax) for Zip Line Canopy Tour for 2 and One Night Stay for 2 with Breakfast at Woodside Lodge. Regular Price is $304.00! A $61.00 Savings! Rooms are for Friday’s or Saturday nights. 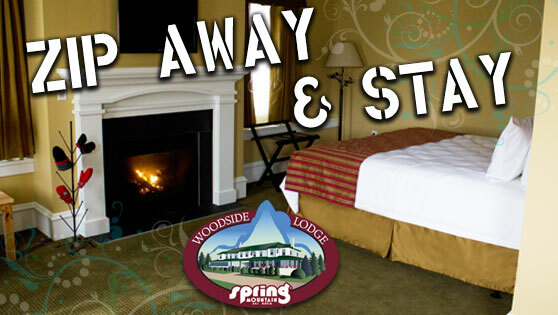 To purchase this offer or other Gift Certificates, please call Gayle at Woodside Lodge at 484-552-8457 or Jennifer at Spring Mountain at 610-287-7900. We would be happy to customize this deal to work for you. This offer not valid on already purchased stays at Woodside Lodge or already purchased Canopy Tours. Not valid with any other promotions. Taxes are included but gratuities for Canopy Tour Guides and Servers for Breakfast at Woodside Lodge are not.